When it comes to choosing fencing, there’s more than meets the eye. No one wants to build an average fence that fades into the background over the years. You want a stunning construction with curb appeal that enhances your home. But how do you do it? There are so many styles, colours, and materials to choose from. For that reason, many homeowners settle on something fast without having a deeper look at all of the options available to them. But the secret to an amazing fence that wow’s your neighbours and makes you feel proud is looking past the ordinary. A unique fencing design is memorable and striking and gives your home a more premium feel. It shows you’ve done your homework, and the results speak for themselves. 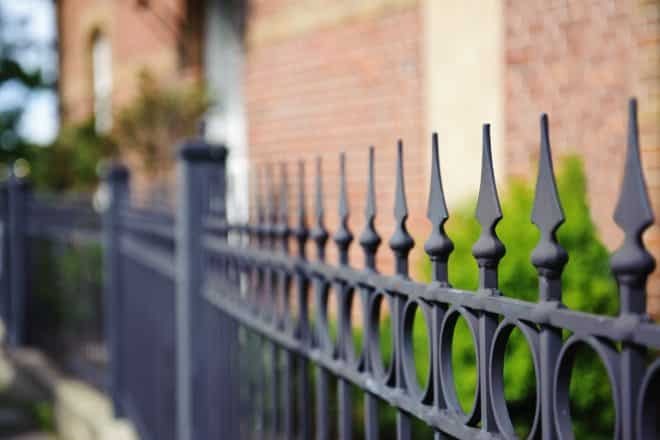 Here are 6 of the best fencing options you may not have considered at first – but could be the fence you’ve always dreamed of. A unique fencing type that’s always worth a look is spear top fencing. As the name suggests, the fence contains spear-like rods that point upwards, connected with horizontal rods and ornamental designs. It’s made with quality aluminium and comes in a range of colours (our favourite is charcoal black). The best thing about spear top is how flexible it can be. While highly attractive with a luxury feel, it can provide a stylish border to any property as a front or back fence or even to protect swimming pools. It gives you security without sacrificing visibility. A different type of fence to the spear top design is loop & spear. It’s a more traditional and security-focused style which is great for swimming pools and protecting small children. Homeowners love it because it’s cost-effective and requires very little maintenance once installed. Loop & spear fencing is made from quality steel and stands up in all Australian conditions. Durable and strong, this is a fence you won’t have to replace for ten or twenty years. Just remember to hose it down every now and then! This is a lesser known fencing type, but one you may have seen around without realising it. The brick infill style is strong and secure, while also providing much-needed privacy for your home. They are usually a combination of stone or brick pillars with steel fencing in between. For heritage look, you can use red brick pillars with steel pickets, or go with rendered pillars for a modern feel. Replace the pillars with stone for a touch of luxury. It offers everything you want in a large and private fence so it’s worth taking a look at your local fencing showroom. Looking for a fence where you have full creative control? Blade fencing is a trendy new style that blends modern aesthetic with an industrial flair. It’s long lasting, striking and looks amazing – particularly when lit up against the night. Not only does the dimensional look turn heads, it provides the security and privacy you need for peace of mind. It does come at a higher price point, but once you see the materials and blade finish up close you’ll know it’s worth it. It may not suit older homes, but if it’s a contemporary style you’re after this could be your dream fence. The latest in architectural style and design is what makes aluminium slat fencing so popular at the moment. The clean, sharp lines complement all types of residential or commercial properties. Aluminium slats have so many applications so you can definitely find a type that matches your needs. Slats can be used vertically or horizontally, in many finishes and spacing in between. It offers a polished and professional look you just can’t get with other fencing styles. Best used for front yards that need privacy while also ticking all of the boxes for curb appeal. Modular fences are the ultimate sleek design with an added bonus – it offers sound privacy like no other option on the market due to the high-quality materials. As homes are getting closer and closer to each other, these fences are becoming more useful for ensuring your neighbours can’t hear your every word. These fences also take a lot less time than others to construct and install so you save time and labour costs. While visually stunning, it comes with a price tag lower than you’d expect. Next time you’re shopping around for a new fence, don’t just go with the first choices that come to mind. Look around, and consider alternate fencing styles like those above to equip your home with a fence you can be proud of.